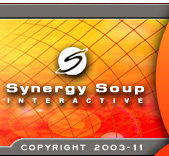 "I am pleased to recommend the services of Synergy Soup to you ...Frank Cugini and his team of highly-skilled professionals are a delight to work with. They are responsive, detail-oriented, and personable." 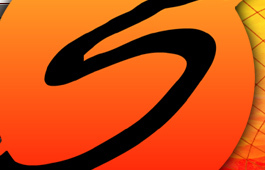 ..."Synergy Soup's efforts to revamp our web site, and the additions to the site since that time have consistently demonstrated their commitment and creativity to the work that they do." Synergy Soup creates ultra-effective websites by providing all of the front and back-end expertise necessary to get your website up and running. Our talented team will assist you in developing your e-marketing strategy, then our graphic designers, copywriters, animators and programmers will build your site using the latest-available technologies (or develop a new technology to get your job done right - see www.talkinsites.com). We will deploy and host your website on one of our "Soup Data Center" servers. Finally, if you desire, we will train and empower your staff to manage and update your new web site.